The pulp is the soft tissue that contains nerves, blood vessels and connective tissue. It lies within the tooth and extends from the crown of the tooth to the tip of the root in the bone of the jaws. An abscessed (infected) tooth caused by tooth decay. When the pulp is diseased or injured and can’t repair itself, it dies. The most common cause of pulp death is a cracked tooth or a deep cavity. Both of these problems can let germs (bacteria) enter the pulp. Germs can cause an infection inside the tooth. Left without treatment, pus builds up at the root tip, in the jawbone, forming a “pus-pocket” called an abscess. An abscess can cause damage to the bone around the teeth. Treatment often involves from one to three visits. During treatment, your general dentist or endodontist (a dentist who specializes in problems of the pulp) removes the diseased pulp. The pulp chamber and root canal(s) of the tooth are then cleaned and sealed. First, an opening is made through the crown of the tooth. The pulp is then removed. The root canal(s) is cleaned and shaped to a form that can be filled. 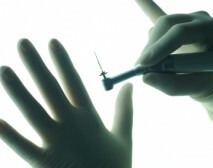 Medications may be put in the pulp chamber and root canal(s) to help get rid of germs and prevent infection. A temporary filling will be placed in the crown opening to protect the tooth between dental visits. Your dentist may leave the tooth open for a few days to drain. You might also be given medicine to help control infection that may have spread beyond the tooth. The pulp chamber and root canals are filled and sealed. The temporary filling is removed and the pulp chamber and root canal(s) are cleaned and filled. In the final step, a gold or porcelain crown is usually placed over the tooth. If an endodontist performs the treatment, he or she will recommend that you return to your family dentist for this final step. The crown of the tooth is then restored.